Oops, no package matches your wish. Give us the details of your perfect trip! We send your trip to 5 professional agencies. Get back and compare no obligation quotes. We need your name and email for the agencies to contact you. Your request has been sent to 5 professional agencies and they will contact you soon. Ever marveled at those intricate and delicately carved fruits and vegetables that are a feature of Thai cuisine and decoration ? How about having a go yourself with this beginners course in this old Thai art. Enjoy the fun of carving watermelon, papaya, cucumber and many more, and learn techniques of making them in a variety of shapes and design. The class will be taught by cooking professional, Khun Sow who has 10 years of experience in some of Thailand`s large five star hotels and restaurants. You will learn through a practical, hands-on approach and finally, impress your friends back home with fruits in different styles. 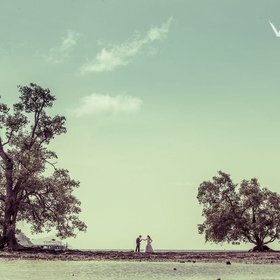 Yuktravel adalah sebuah agen resmi perjalanan wisata yang menyajikan berbagai informasi detail seputar tempat tujuan wisata sekaligus juga menawarkan paket perjalanan wisata sesuai dengan area yang ditentukan. Yuktravel menyediakan dan mengoperasikan sistem dan fasilitas pemesanan online maupun offline secara terpadu, yang dapat melayani pemesanan/pemesanan: Package (Tour Package, Room Package), Cruise Package, Hotel room booking (hotel, hostel, apartment), Airline ticket booking, Activity, Car Rental booking yang memungkinkan Anda untuk mencari informasi atas Produk yang Anda inginkan, serta melakukan pemesanan dan pembelian dan sekaligus melakukan pembayaran secara online dan aman melalui berbagai sistem dan fasilitas pembayaran yang tersedia. Certificate and English speaking teacher. The tour commences with a visit to Nosey Parker Elephant Camp where a one hour elephant trek through the surrounding rainforest has been arranged. Drive to the Catfish Farm and Garden and follow the natural trail to several pools to discover fish like Catfish and Koi. Then continue to the pier in Krabi City to board the southern style long-tail boat for a visit to Koh Klang Community. Visit a cave inside the limestone karst of Khao Khanab Nam, one of a pair of karsts that have become the symbol of Krabi. 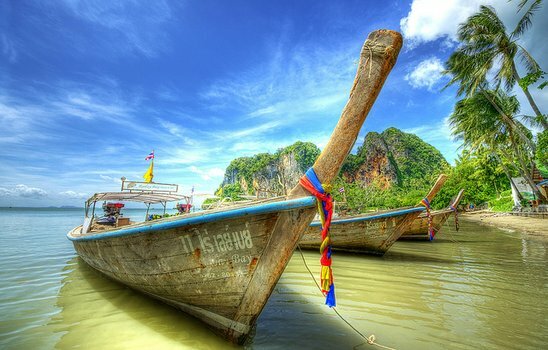 Arrive on Koh Klang, a mangrove island situated in the Krabi River and home to a community of Muslim fisherfolk. Explore the important mangrove eco-system and visit the village to observe the way of life and culture of its inhabitants. Back in town dinner is served at a local restaurant followed by a visit to the evening market before returning to your accommodation. Meet on arrival. Free city tour if arrival before 1400hrs to visit places like Wat Chalong Temple, Phuket Town, Rawai beach to view Sea Gypsy Village, cashew nut factory and local product outlets. Overnight in Phuket. Breakfast at hotel. Morning departure for Krabi, journey about 2hrs. On arrival, free city tour and visit Wat Thum Sir “Tiger Cave” Temple and Marine Fish Farm. Lunch is famous Duck Noodle. Overnight in Krabi. Breakfast at hotel. Free and leisure with optional activities such as spas, Phi Phi Island tour with lunch, four islands tour with lunch, white water-drafting, river cruise, hot spring waterfall tours etc. Overnight in Krabi. Free at own leisure. Transfer to airport for departure. Depart to the south of Krabi for visits to the Hot Stream Waterfall and the Emerald Pool. 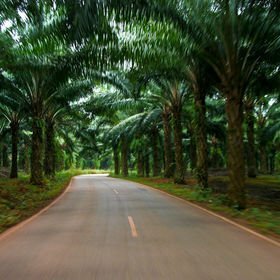 En route a stop is made at a rubber plantation to observe the local manufacturing processes. Continue to the waterfall, found in a peat forest of Khlong Thom district. Heat from the earth warms the stream which runs through several pools before cascading over as a waterfall into the cold current below. Enjoy bathing for a while in the warm waters. After lunch, walk through the rainforest about 800 metres to visit the Emerald Pool. The high deposits of calcium carbonate in the water here contribute to its changing hues, from a pale green to green-blue depending on the temparature. The pool is naturally clean and clear and inviting for a swim. Return to Krabi via a stop at the Tiger Cave Temple and the shrine to Mae Kuan Im, the Chinese goddess of mercy. Entrance fee to Hot Stream Waterfall and Emerald Pool. Wat Chalong Temple, Phuket Town, Rawai beach, Sea Gypsy Village, cashew nut factory, local product outlets. Wat Thum Sir "Tiger Cave" Temple, Marine Fish Farm, Krabi Town, Batik Factory, duck noodle. Meet on arrival. Free city tour if arrival before 1400hrs to visit places like Wat Chalong Temple, Phuket Town, Rawai beach view at Sea Gypsy Village, cashew nut factory and local product outlets. Overnight in Phuket. Morning departure for Phi Phi Island tour, visit Phi Phi Lay Island, Phi Phi Don Island, Pileh Bay, Maya Bay, Monkey Bay, Bird Nest Cave, snorkeling, swimming or relaxing... . After lunch at Phi Phi Don Island, transfer to Krabi. Overnight in Krabi. Breakfast at hotel. Free Krabi tour to visit Wat Thum Sir "Tiger Cave" Temple, Marine Fish Farm, Krabi Town, Batik Factory etc. Lunch is famous duck noodle. Overnight in Krabi. This one day program will introduce you to natural and cultural features of Krabi at Ao Luk, a community-based tourism area in the north of the province. Upon arrival at Borthor pier, you will board a kayak, paddle down the sea passing the mangrove forest and swamp and enter the sea cave of Tham Lod, a magnificent tunnel eroded through karst limestons bejewelled with magical stalactites and stalagmites. See the lagoon in the area and the beautiful cliffs. Continue paddling for the next visit at Tham Phi Hua To (Big Skull Devil Cave). This cave features pre-historical wall paintings dating back over 3,000 years ago, evidence of early human settlements in the area. Afternoon visit Thanbokkhoranee National Park, which replaced the former botanical gardens, where you can swim in the natural waterfall. Lunch is also served at a local restaurant. For a perfect Krabi holiday experience, the day spa programme at Waree Raksa should not be missed. Waree Raksa Hot Spring Spa is nestled in the deep forest where you can experience private dip pools amid the true serenity of nature. The source of sping water was discovered by chance in 1989 when digging the ponds for a plantation. The water is clear and odourless, and each pool is designed to blend in with the spring`s natural shape with different temperature levels ranging from 38-45C, and each has a hidden cold water area, both chilled and at normal temperature for a perfect hydrotherapeutic experience. 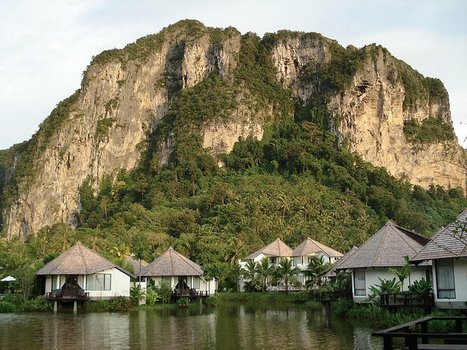 The day programme includes a visit to a local fruit market, hydrotherapeutic bath, practice the art of Thai yoga, full relaxation massage in one of the riverside cabanas, exploring the hot waterfall and the tropical plantation, and a healthy Thai lunch and unlimited herbal drink and tea. 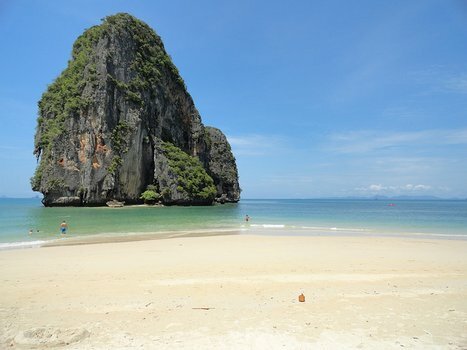 Drift away into the sunset and experience Koh Yawasam, known as a famous Krabi and Ao Nang snorkeling location as well as its red rock formations and birds of prey. 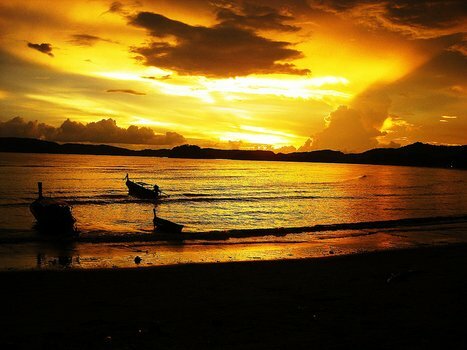 Discover angel fish, baracuda, nemo fish, flying fish and many more at Koh Si or Koh Har. Keep your eyes peeled for the great hornbill or Chinese egret. Enjoy deep water snorkeling at Koh Si, take a swim, stroll along the beach or explore the underwater splendour at Koh Kai. Settle down on Koh Tub for fresh seafood and barbecue while the sun sets over the Andaman Sea. Observe flying foxes as they fly to the sky during sunset. Finally a refreshing swim amidst the phosphorescent plankton as they illuminate the sea around you. Create an account to receive travel deals. You can unsubscribe anytime. Similar packages you might like!